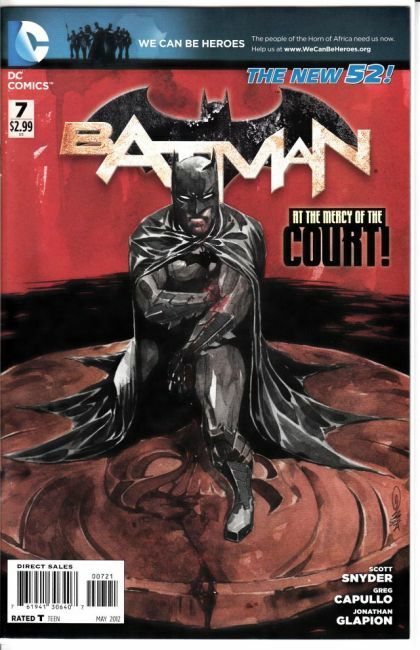 Batman may have survived the Court of Owls' first strike (barely), but even as he recuperates, the Court is preparing to launch its most deadly and sweeping attack yet. Plus: The secrets revealed in this issue will change Batman's world forever! You won't want to miss the issue everyone will be talking about! This issue is also offered as a special combo pack edition, polybagged with a redemption code for a digital download of this issue.